A Salute and Helping Hand to our Veterans! A Salute and Helping Hand to Our Veterans. 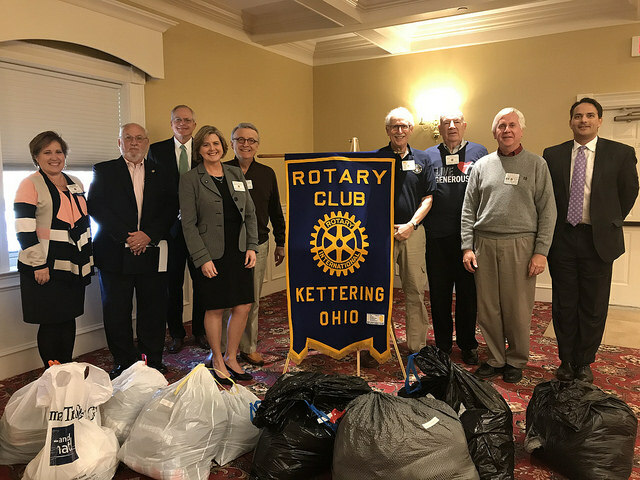 Our club collected much needed clothing for homeless Veteran's here in the Miami Valley. In addition to clothing over $300.00 was donated to buy new underwear and socks for the recipients as well. On December 31st our club will also help host a New Year's Eve Party at the VA.
A big thank you to Mel Haines for spearheading this worthwhile project. 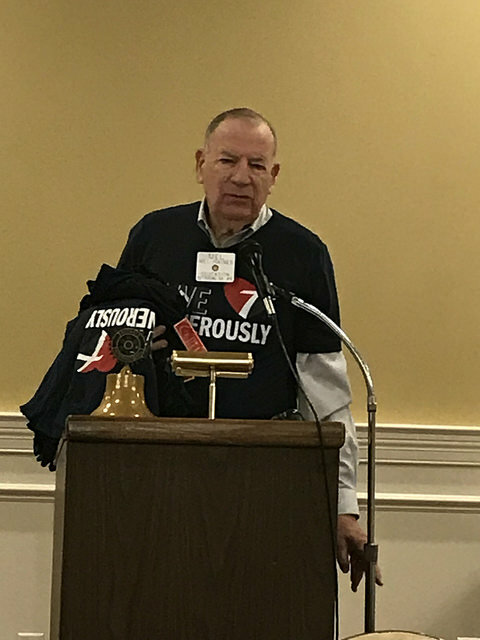 We are proud to have amazing Rotarians like Mel identify a need and then take the lead for our club and community. 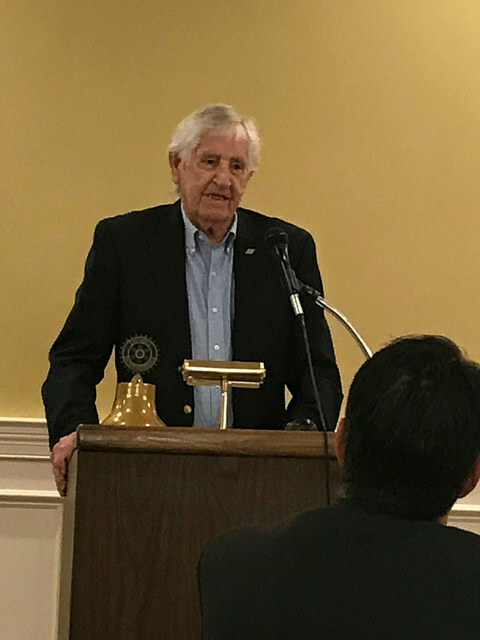 Our Speaker was 90 year old Navy Veteran Ralph Young who told us about his World War II experiences and his inspiration for his two books on the subject. 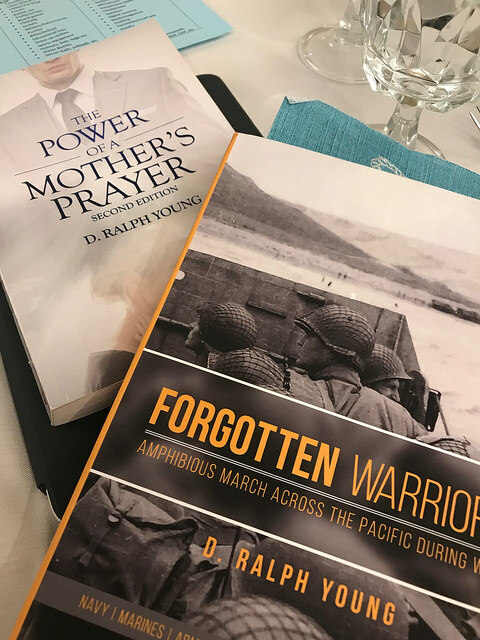 Ralph Young's account of World War II - he experience and his belief in his mother and prayers.